Sauron begins building Barad-dûr (ca. 1000 S.A.) - In his bid to conquer Middle Earth, Sauron began building his great tower, Barad-dûr ("Dark Tower" in Sindarin) in the land of Mordor. 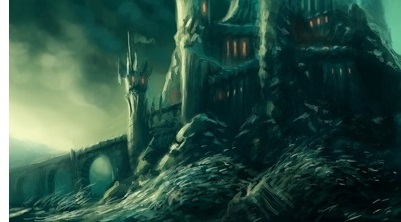 It would take 600 years to complete and became the strongest fortress since the days of Morgoth's Angband in Beleriand. "c. 1000 Sauron, alarmed by the growing power of the Númenóreans, chooses Mordor as a land ot make into a stronghold. He begins the building of Barad-dûr.